You are here: Home / Car Accident / Rear End Collision Fault? Most people assume that when they are hit from behind that they are not at fault. That is not always the case. Maybe you have been in a situation where you are following too closely behind another car, and then that car slams on their brakes, causing you to hit them from behind. To determine who is at fault it is important to know why the other driver slammed on their brakes and if any person would have been able to stop in time. Missouri is an at-fault state. That means that when you are in an auto accident, at least one driver is deemed responsible and liable for paying for any injuries or damages that result. There are times when someone can be rear-ended and can be found partially at fault for the accident. The only way to truly know who is at fault is to figure out the events that led to the car accident. Through a combination of recreating the conditions and reviewing documents, eyewitness accounts, and how well everyone was adhering to the Missouri traffic laws, fault may take some time to sort through. However, there are cases where both parties are partially responsible for the accident. When this happens, many auto accident victims are unclear about their right to recover compensation. Negligence is determined by the driver’s actions before the accident happened. Someone is found negligent if they took actions that directly led to an accident happening, or because they failed to take action when they should have, and it was that failure which directly led to the accident happening. If someone slams on their brakes hard and you hit the back of their car, it might not always be the case that it is your fault. If you were following too closely, then yes, you are negligent because you have an obligation to keep a safe distance between you and the car ahead of you. But if the person slammed on their brakes and there was no possible way that any driver could have stopped in time, then you might or might not be to blame. Also, if there were road conditions that would have made it impossible for you to put the brakes on quickly enough, that might mean that you aren’t at fault or that you are only partially at fault. To be at fault, you have to be found negligent, and you may not be negligent for acts of weather or if there was no foreseeable way that you could have avoided hitting the car in front of you. One way to determine who is at fault for an accident is to have a police report filed. It is imperative that you have a police report drafted before you leave the site. Even if it is just a fender bender and no one is hurt, a police report can help establish liability. Sometimes an officer will issue a ticket and sometimes they won’t. What they will do is write down what the witnesses say while the events are still fresh in their minds. Although they are not admissible in court, police reports are a great way to lend credence to proving that another driver was at fault. It is also important to know who was following the state laws and who was not. For instance, if you slammed on your brakes to turn without using your turn signal and were rear-ended, then you would not be following the rules of the road and could be held liable for the accident. Deciphering whether everyone involved was following Missouri state laws when driving will be integral to figuring out who was at fault. Is There a Third Party Involved? There are times when there is another party involved in the accident who caused you to be rear-ended, and they might be liable. If you were forced to stop suddenly because someone pulled out in front of you, and then you were hit from behind, then the third party may also be at fault. 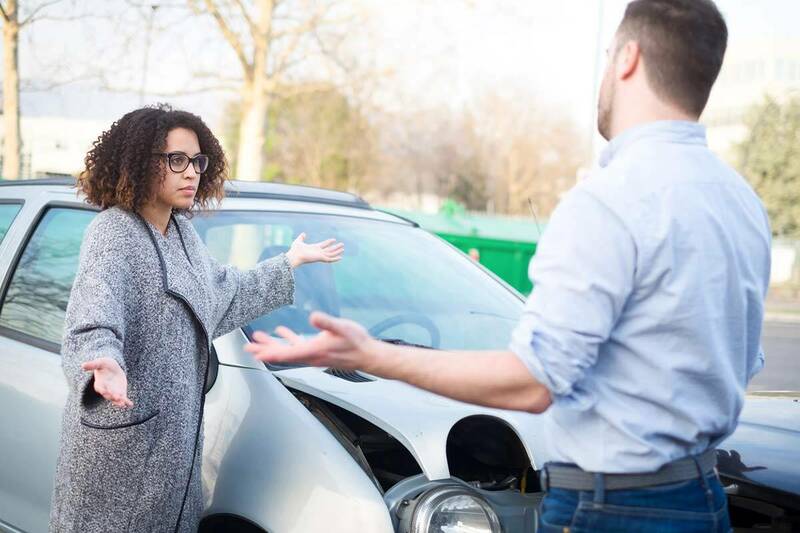 If you hit the back of someone’s car and you believe that it isn’t your fault, then the best thing to do is to hire a St. Louis car accident attorney to defend you. Just because you hit someone from behind does not necessarily mean that you are automatically at fault. If there are other circumstances at play or you were not negligent in the accident, then you will want someone in your corner to plead your case, so you aren’t left to pay for something that wasn’t your fault.